In a nice phrase, the western writer Wallace Stegner called the Mountain West the “native home of hope.” However, for a while now at least parts of the region are also going to need another virtue as well: patience. Or at least, that’s the way it looks given the release of yesterday’s inaugural edition of the Mountain Monitor, a companion product to the Metro Program’s national MetroMonitor recession and recovery index and the first production of our new Brookings Mountain West initiative, a partnership of Brookings and the University of Nevada at Las Vegas. Drawing on data covering the third quarter of 2009 (ending in September), the new Monitor suggests that no multistate region has been hit harder by the last year’s economic crisis than the six-state Intermountain zone, but that that impact has not been even. Just look at our map (after the jump) of metros’ overall performance during the recession. Across the region, the deflation of a massive housing “bubble,” widespread job losses, and the onset of a significant public-sector fiscal crisis have put a hold on the region’s fast pre-recession growth. Aggregate employment declines since pre-recession peaks have exceeded 7 percent compared to the national 4.6 percent loss. So did the region’s 3.6 percent aggregate output decline exceed the national 2.5 percent slide. In many Mountain locations, the sheer abruptness of the shift from hyper-growth earlier in the decade to contraction in the last year has spawned a sense of almost existential whiplash. Yet as my colleague Alan Berube keeps pointing out nationally, the effects of the recession and recovery have not been uniformly felt in the Intermountain region. And in fact there is something of a tale of two metro experiences. Along the eastern portion of the region, metros like Colorado Springs, Albuquerque, and Denver have only been moderately affected by the recession and seem poised to renew their upward trajectory as the pace of recovery quickens. Colorado Springs and Denver escaped a collapse in housing prices and have seen only modest increases in unemployment. Albuquerque has maintained its pre-recession level of output and has lost a smaller share of its jobs than most metros. Ogden, UT, has also weathered the downturn better than the average U.S. metro with only a slight loss of output from its peak. By contrast, that patience I was talking about is going to be sorely needed along the Western rim of the region. There, metropolitan Phoenix, Boise, and Las Vegas remained three of the most troubled metropolitan areas in the entire nation and so inordinately defined the region’s recession landscape in the third quarter. Each of these metros was massively entangled in the excesses of the decade’s tsunami of easy money, exotic and usually subprime mortgages, and real estate speculation (construction and real estate activities reached 13.4 percent of all jobs in Las Vegas and 12.8 percent in Phoenix and Boise). Therefore, they have been devastated by the bursting of the housing “bubble,” and so contend with in many cases double-digit employment and house price losses. Without these locales acute distress, the broader region would still look hard-hit on employment loss, but it would appear rather typical on output declines and better than average on housing foreclosures. With it, the region has problems. 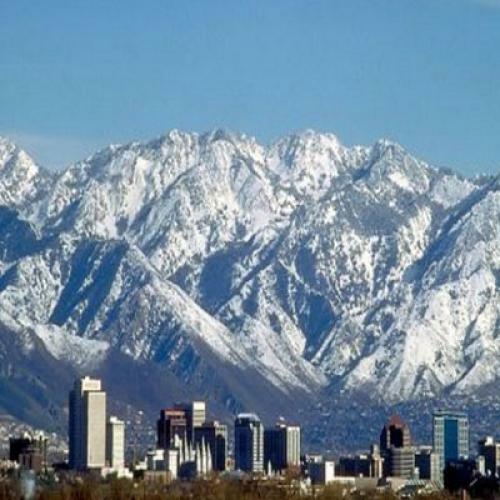 The upshot: While the Intermountain West is an increasingly distinct region in national affairs, it remains disparate--a still-loosely linked network of individual metropolitan economies, some of which remain mired in recession and many of which are clearly recovering. Metropolitan product growth has at last returned to most places but the region remains a patchwork--and job growth has not yet arrived. In sum, the arrival of output growth among the metropolitan areas of the Intermountain West in the third quarter of 2009 bodes well. However, Stegner’s hopefulness is being sorely tested and will be much needed—in some places more than others.